We are Nathan and Candy Rose, we have owned Dalmatians for many years, first and foremost they are our family, though some of them are also our "Show Team", showing has become a big activity in our lives. Our dogs live in the house with us, they are not kennelled and when we go to a show, no-one is left behind, so whether we are exhibiting or spectating, a great day out is had by all! 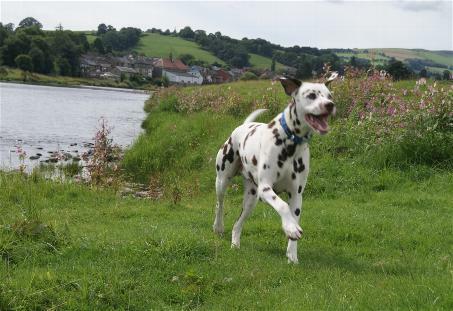 Candy is an active member of the British Dalmatian Welfare and performs home and dog checks for the Suffolk area as well as previously serving on the committee for 3 years as Treasurer. Advice, help and assistance is always readily given. We hope you enjoy our website, meeting our four-legged family, seeing some great days out and some amazing wins! Meet our dogs from this page, at the links on the left.